Dennis Man - FCSB. Was decent in FM 17, looks ok now too. Djordje Jovanovic - Didnt see him mentioned here, superb prospect from Partizan's youth. Had him in several saves, he keeps delivering. Got him for under 1 mil. Duarte Valente - Cheap, decent prospect from Estoril. Payed ~500k for him. Rok Vodisek - Looks promising in my save. Only 300k euros, Olimpja, Slovenia. 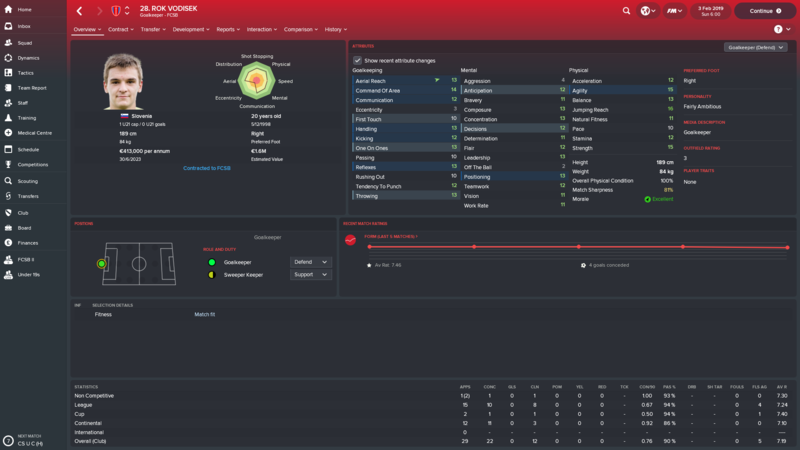 Sandi Ogrinec, decent prospect from Maribor. Also, really cheap. 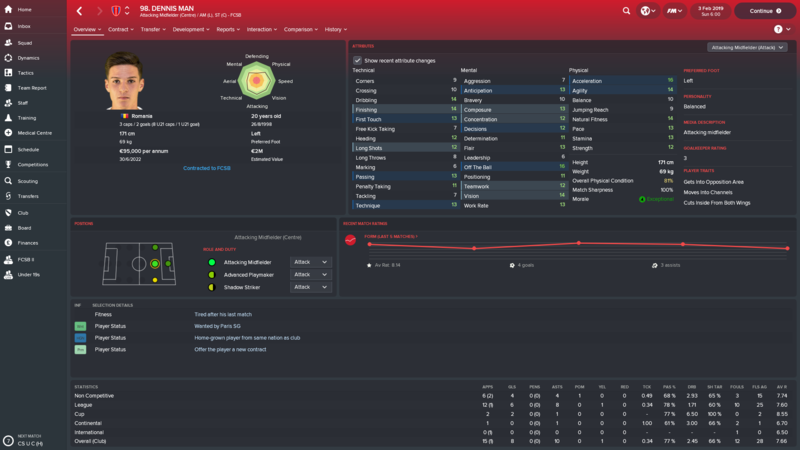 Vladimir Screciu, probably best young DC from Romania. Starts at Craiova, should set you back less than 1 mil. Pinamonti is a well-known wonderkid for the last couple of FMs, not really a hidden gem. Hi there my first post and I’m quite new to all this too. 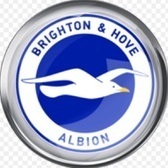 i just wanted to ask, managing a league 1 championship club with little cash if there are hidden gems lower down the leagues that are quality, affordable and willing to move? Don't know about lower leagues, but as i was already writing - i got Gribbin from Manchester United after one season for 700k, and got Pedrinho from Corinthians for around 800k which can be great too. Not sure what exactly players you need. 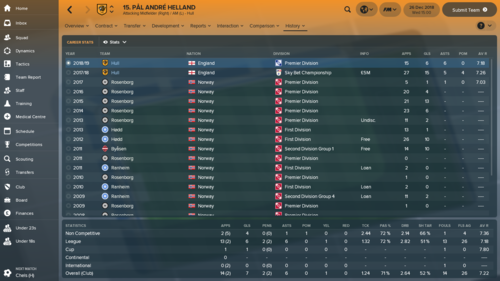 I just got those really great -85 PA bargains to polish league in first/second season. 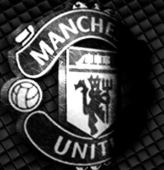 I guess if you will get them then definitely bigger clubs will come on some point and buy them for many $$$. 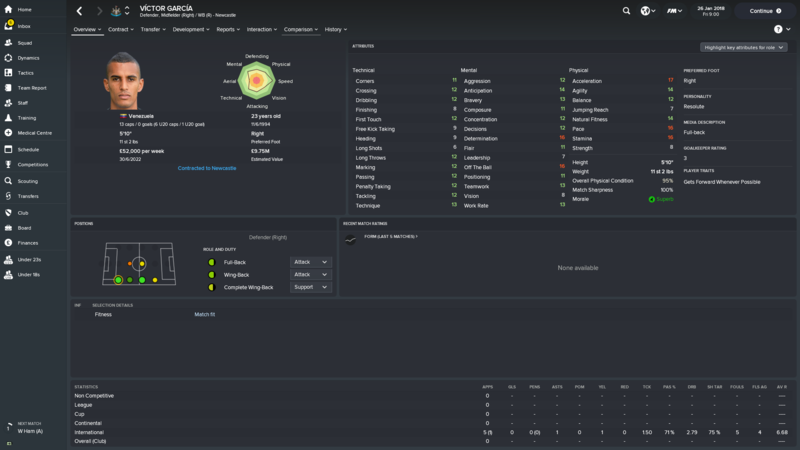 Newcastle just signed this lad for £3.3m, looks a good bargain. Víctor García, starts the game at Vitória Sport Club. With Jovanovic did you get any work permit problems? 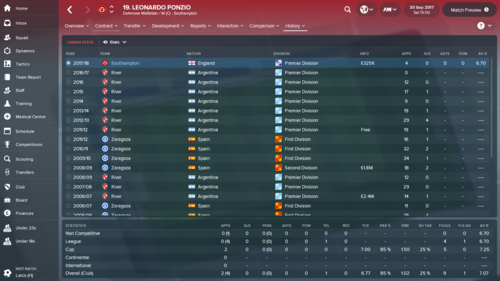 Tried signing him in the first transfer window as portsmouth but he couldn’t get a permit. He plays as Steaua, didn't need a permit obviously. Try to get some players on loan from different BPL clubs, you should get some decent players as you're playing L1. I would advise you to stick it to free transfers as well for 2-3 seasons, sell players that you don't want in your squad to save wages. There should be somewhere a list of good free transfers for the first season, google it. 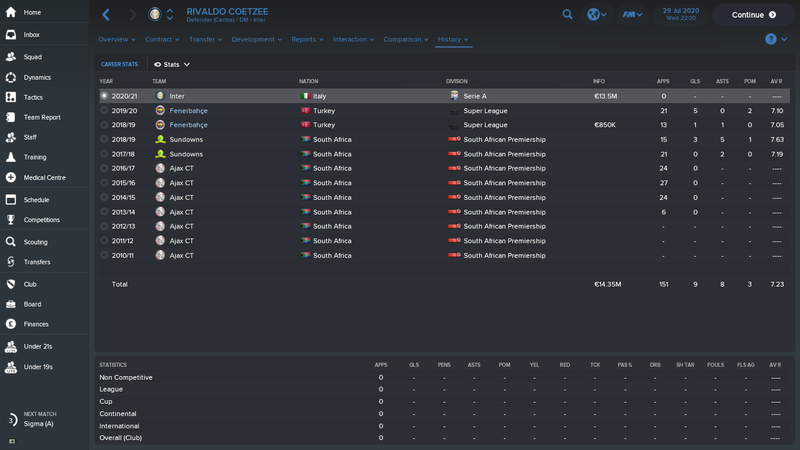 He probably wont get the work permit in the first transfer window. Second season, he got one. 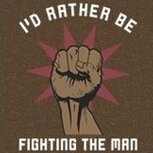 He has very little room to progress, and doesnt really blew my mind as a BPD. He is not exactly suited for that. 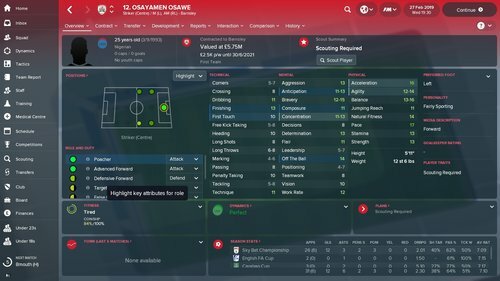 Striker, averaging over 8 for the last 2 seasons. 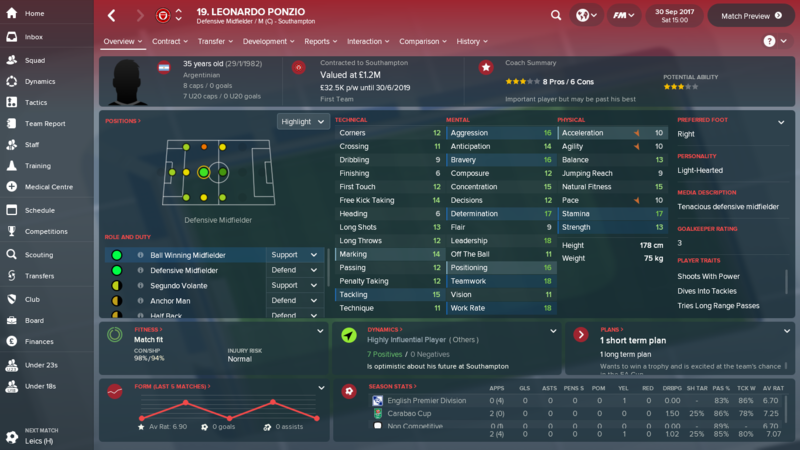 I signed him on loan in my 2nd season while at Monopoli in Serie B and again in the 3rd season (pre-contract agreed for the summer). 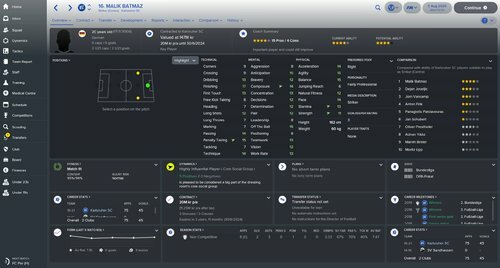 the stand out player from all my FM18 saves. Stephane Bahoken is fantastic. 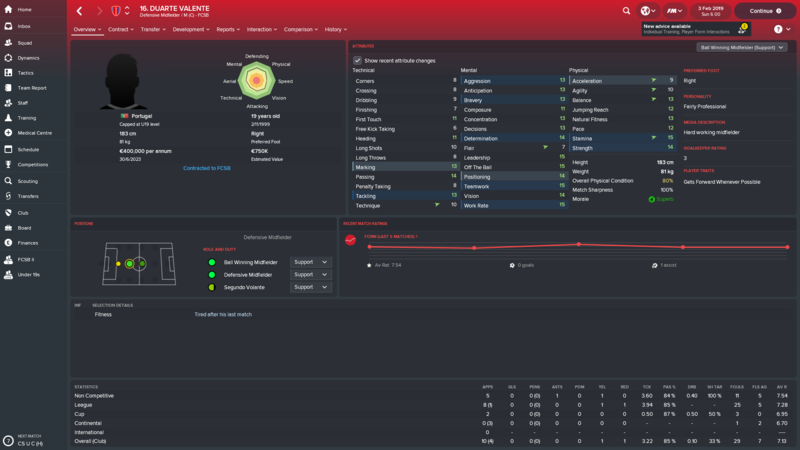 Signed him for Sivasspor from Strasbourg for 300,000 Euros in my first season (transfer listed) - scored 20 league goals straight off the bat in the first season. Tore up the Turkish Super League - excellent shout for middling teams. 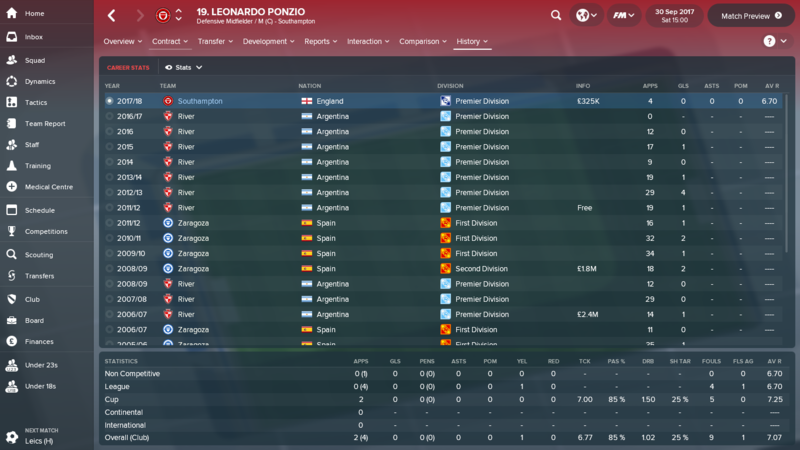 He may be 35 but Ponzio is a full international, fairly versatile, cost me only £325k and can be a decent back up BWM for top premiership teams and a starter for mid-table teams. It's worth noting that before he declined he was rated as a "leading premiership player" by my scouts. 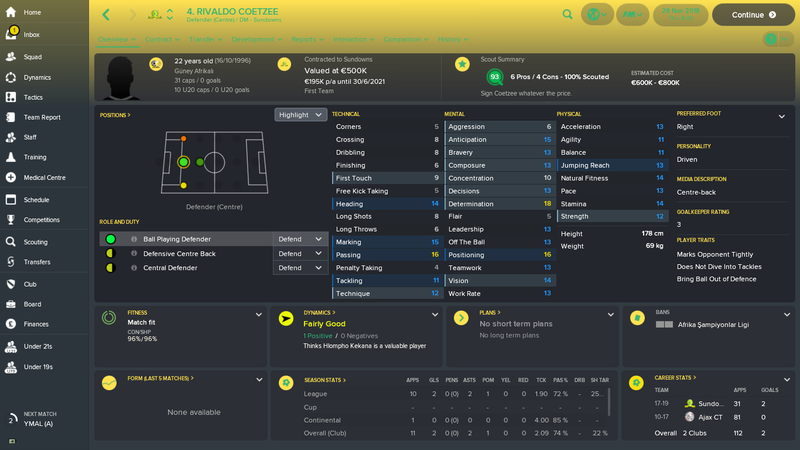 His biggest problem is his lack of pace, but his stamina still rates very highly. Worth a punt! Francisco Trincao is someone being mentioned a lot. He's my favorite player on this game. 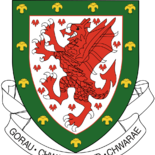 Signed with a French Ligue 2 Team. 3 seasons in a he's just won the European Golden Boy ahead of Kylian Mbappe. That is without even taking part in a European Competition and having only 1 Portugal U21 cap. Brought for 100k and now valued at 12m with interest from all the top teams reporting to make bids of 46m according to my news items. 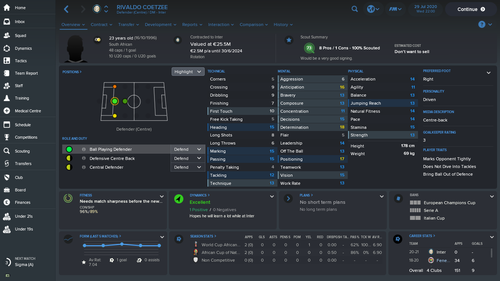 Just grabbed him, along with Chucamero, for Club America on a new save. Any good prospect/old school guy for free at start of the game? Or free from Jan? 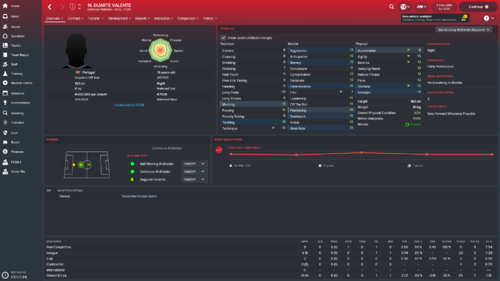 Well, when I bought him as Liverpool and loaned him to Fulham, he was the highest goalscorer in the Championship and single-handedly won them the league and got them promoted. 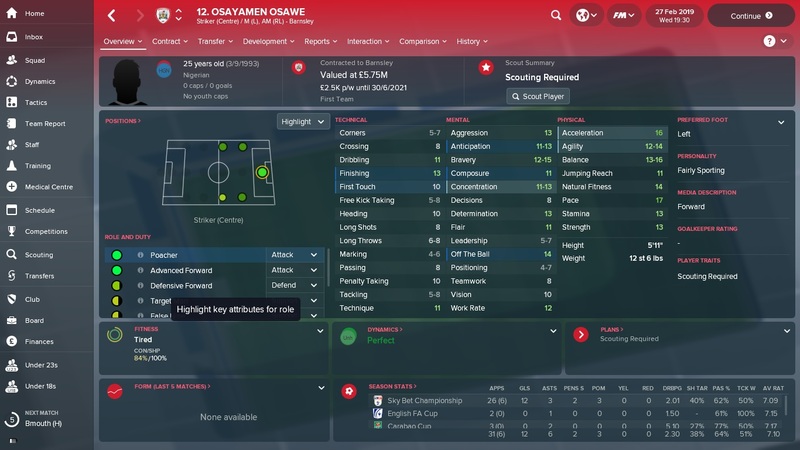 I havent signed this lad, but he was the top goal scorer in the championship the first season, and Ive just checked again and he is the second top goal scorer again in a Barnsley side who are sitting 3rd in the champ. They signed him for 650k seems a decent buy for championship clubs. 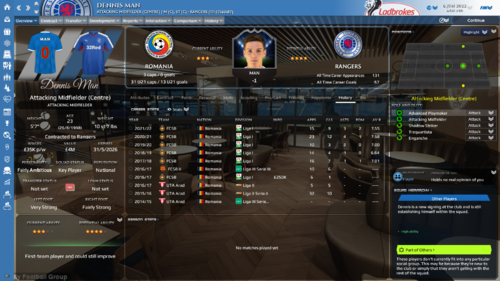 Just had to sell Trincao after 3 seasons 5th Place in French League and a lost cup final was not enough to show him we could challenge for the league and cups next season. 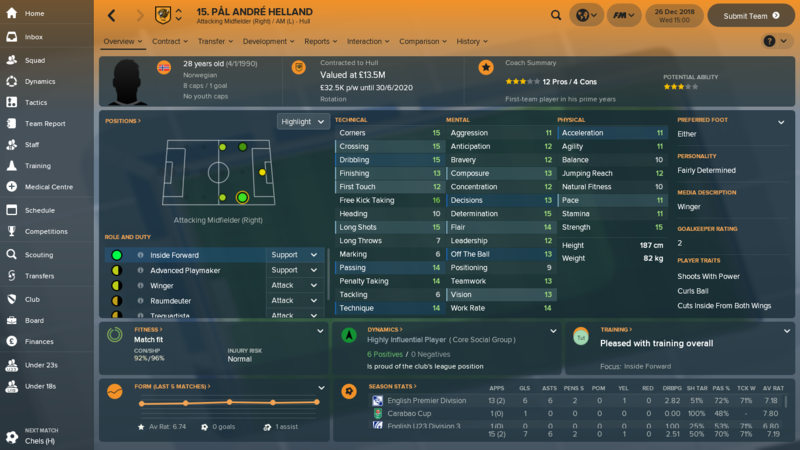 After buying him for 100k he went to Man City for a deal of 44m up front, potentially rising to 57m. Had a quick look around for a replacement and can't see anyone intiially that looks as good. Thinking maybe looking more at Dennis Man. Anyone know how he turns out? 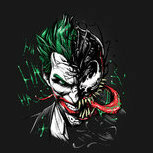 Who do you play as? 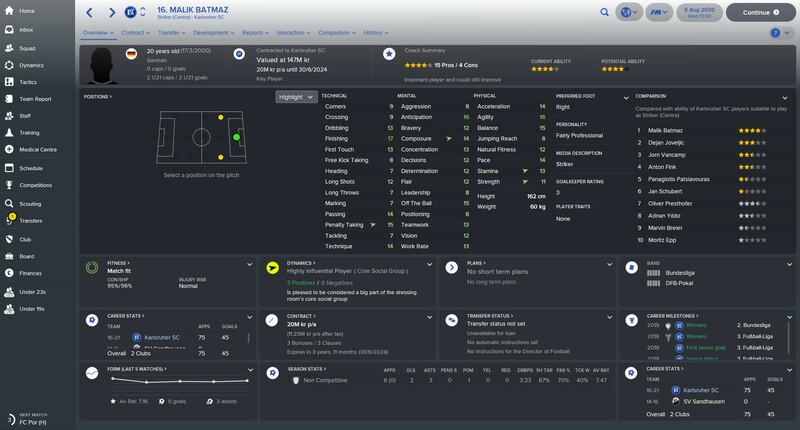 Thinking of starting new save with Paris FC, will he go for so low team? 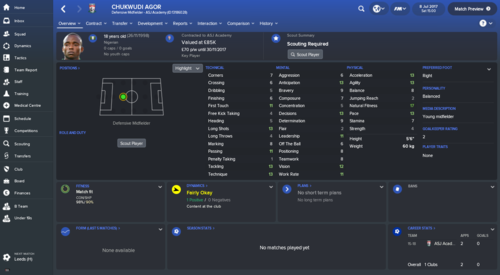 i'M Sochaux Montbeliard, i'm pretty sure if you offered him rotational or first team in his contract then you'd have no issue getting gim. Sochaux are only classed as a mid table team in the same league as Paris so i'm sure you'll have no problem. Pascal Koepke 20yo ST (Au? 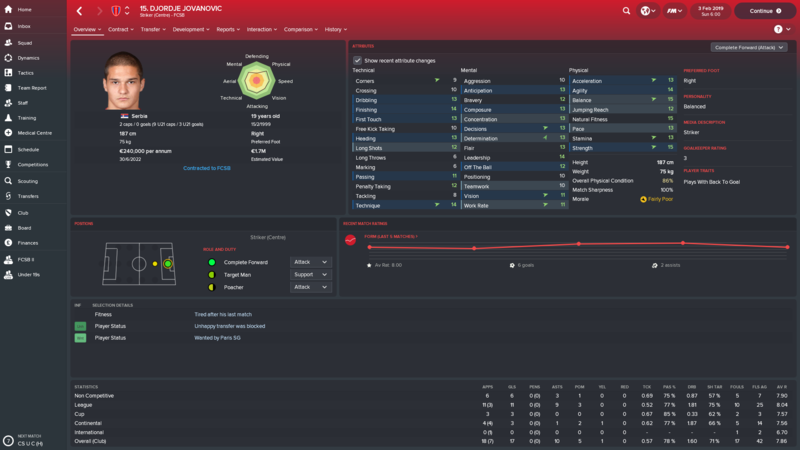 german 2nd div) - got him for less than £6m including instalments) over 20 goals and over 20 assists (I had him as a ramdeuter out on the right way ... he was an assistmeister there! 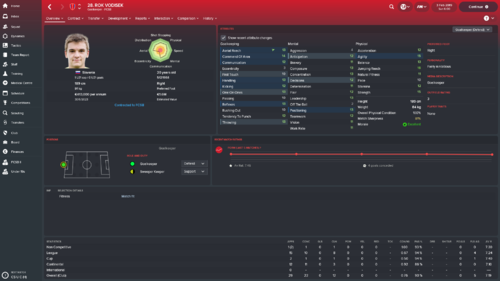 Carlos Pereira - Benfica - Becomes a very solid CB. 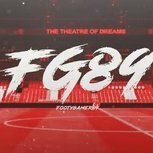 Tiago Dantas - Benfica - The portuguese Xavi. 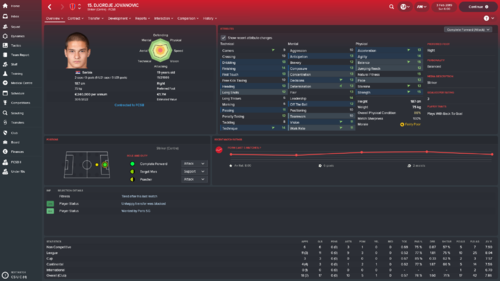 Bought Trincao in my first season at Liverpool for $375K. Loaned him out to Ipswich Town for the first and second season. 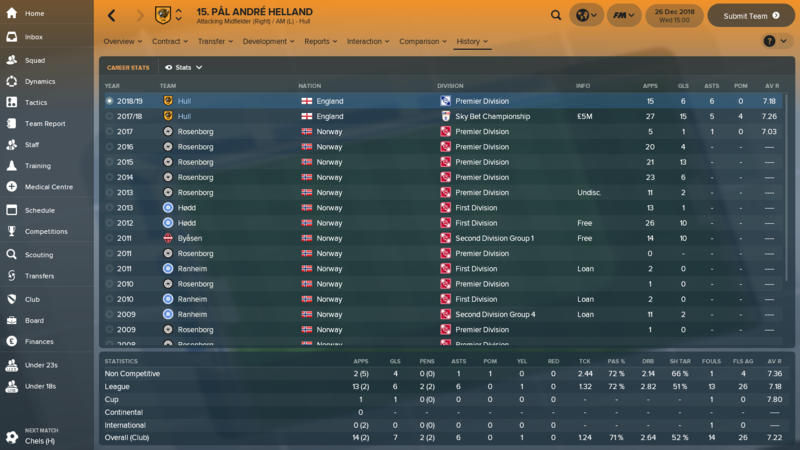 I'm still in the second season, nearing the end, and he's still at Ipswich Town and he has a value of about $12 million already. Definitely a good find! Sorry I know it's off topic but what skin is that mate and where did you get it? Don't know if he's been said, but Simon Moller. 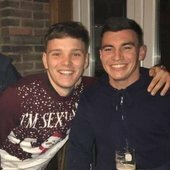 Starts at amatuer club Biggleswade but signed him for Solihull in the National League. Scored 61 goals in the season (45 in the league) and got just over 20 in League 2. Says he's retired from professional football though so only for non league/semi pro clubs. He will leave after his contract finishes and you can't renew it (if you're playing professionally) too, so try and sign him on a long contract. 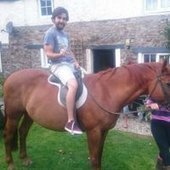 A 21 year old Pedro Marques who I got on loan has so far scored 32 Premiership goals for me (West Ham) with 6 games of the season remaining. 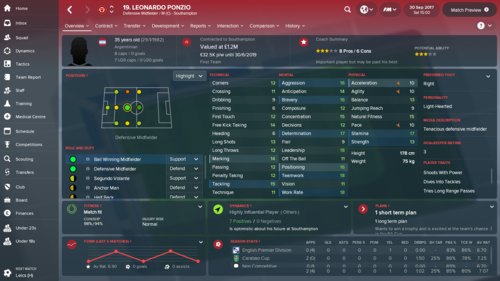 I play him as an advanced forward in 4-2-3-1 and he's unstoppable. Steven Moreira / FC Lorient - All round solid RB, signed for £1.8M, strong physically, can do a job in the Premiership too. 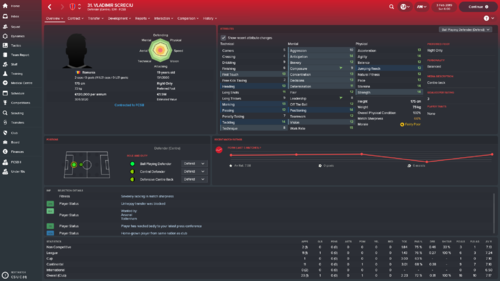 Zach Clough / Nottm Forest - Small, tricky striker, signed for £3.8M up front and £4M after 50 apps, develops considerably, mixes with the best in the Premiership, future international. 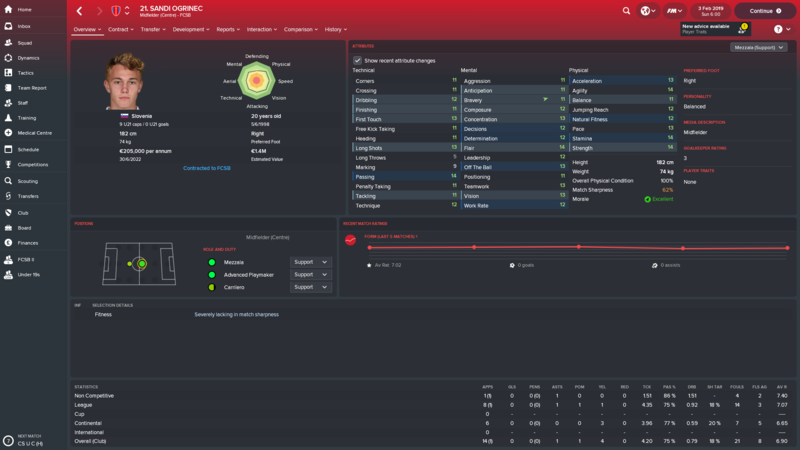 Steffen Hagen / Odd - Mentally strong CB, signed for £475k, useful for a season or two in the Championship but probably not a good fit if you achieve promotion. Mitchell Donald / Red Star - Very solid all-round midfielder. 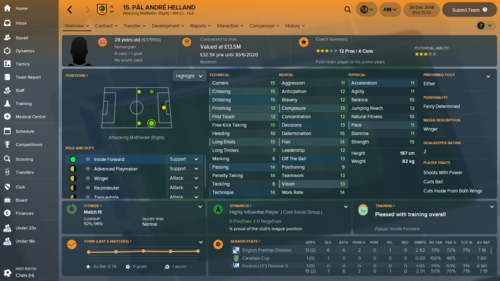 £850k, unspectacular but can do a very good job in every role in CM and CDM. Useful still in the Prem. Goran Popov / Vardar - Determined veteran LB. 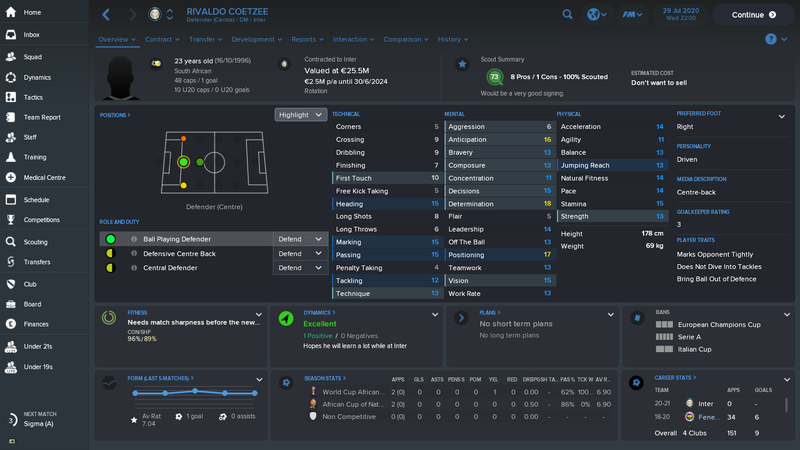 £170k, most suited to LB, but can do a decent job across the defence. Only worth 1 or two seasons. 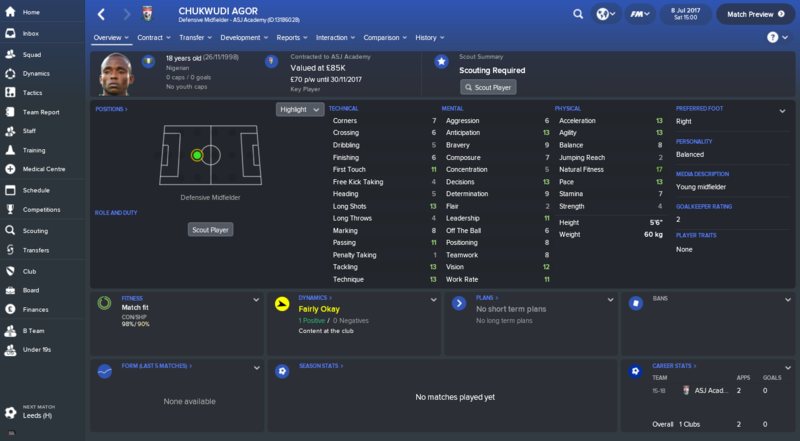 Anyone have a screenshot of Chukwudi Agor please? Thanks mate, disappointing ... thought he'd be higher rated tbh. After reading up on his, you'd think he would be. However, it's hard to track him to a club so I'd imagine researching him would be pretty difficult.